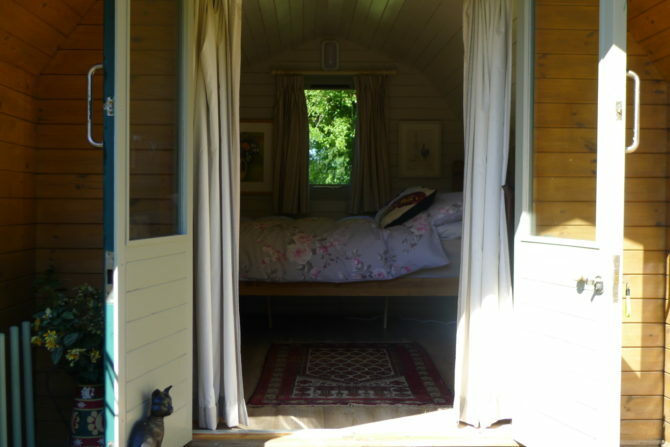 Our “barn style” pod is a cosy space for two people. 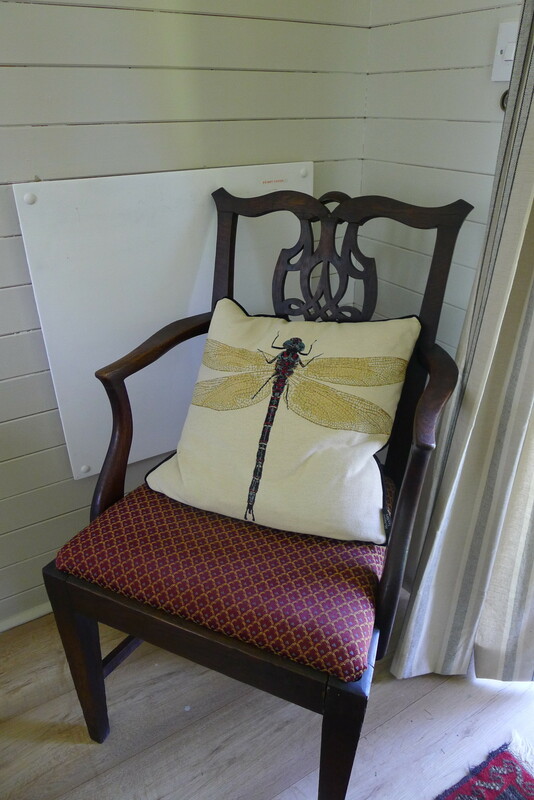 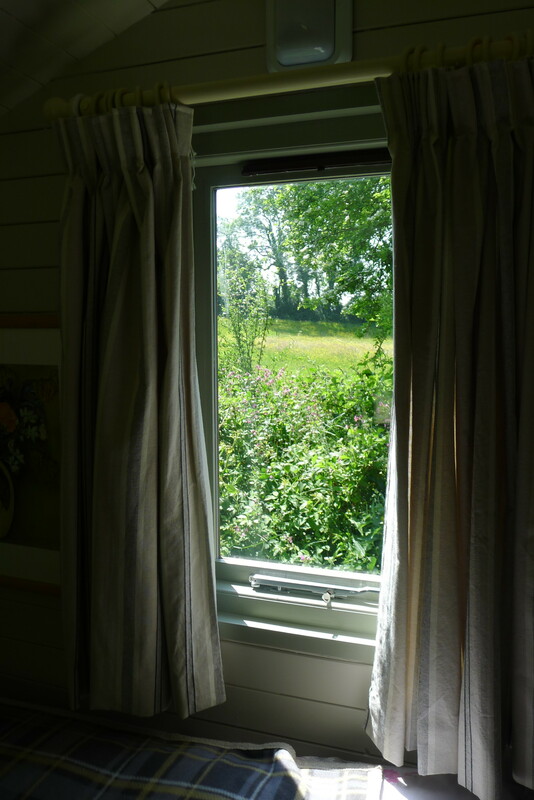 The decor is on the same relaxed theme as the Shepherd’s Hut with gentle Farrow & Ball colours and original artwork. 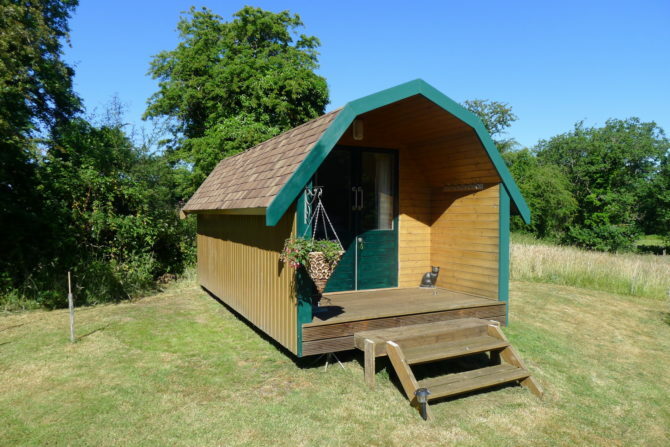 The pod has a sturdy (6’3″ x 4’6″) pine double bed with a memory foam topped mattress, duck down duvet, welsh blankets and scatter cushions, all made up for your arrival. 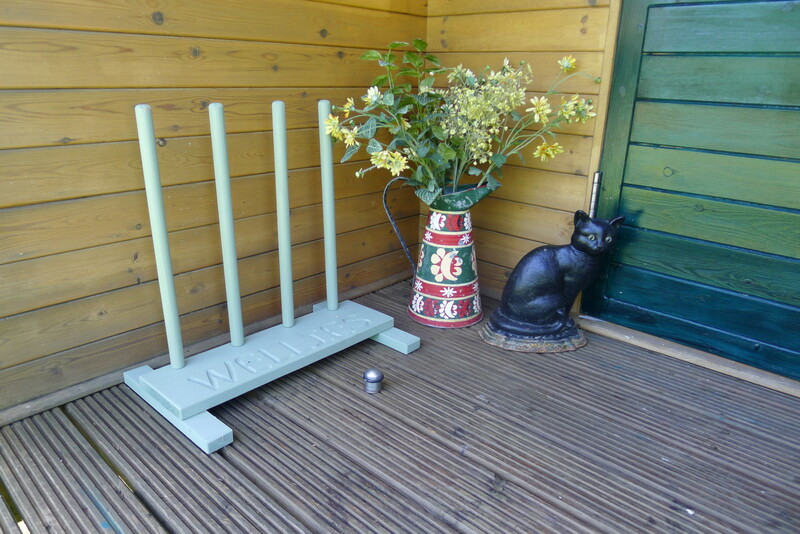 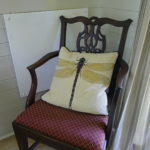 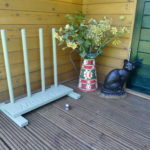 Outside is a decked and covered porch – a lit and sheltered space for boots and coats. 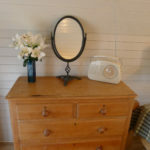 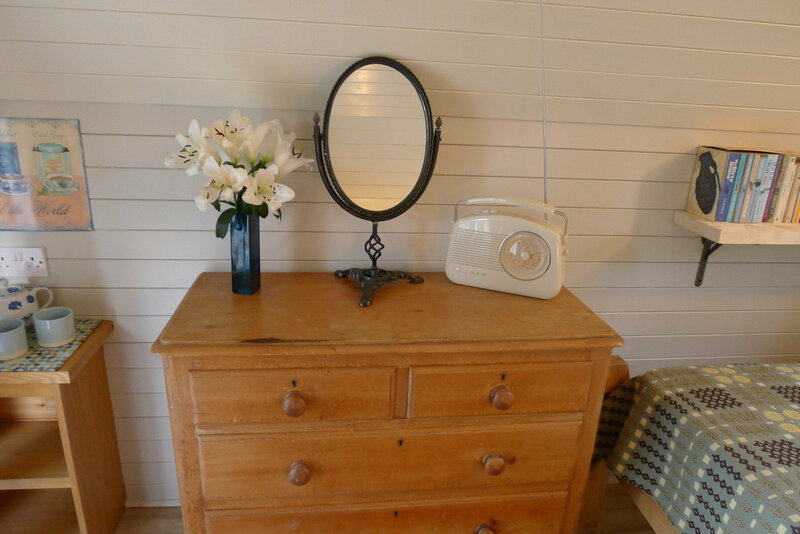 There is plenty of storage with a traditional Welsh pine chest of drawers with mirror and “retro” radio. 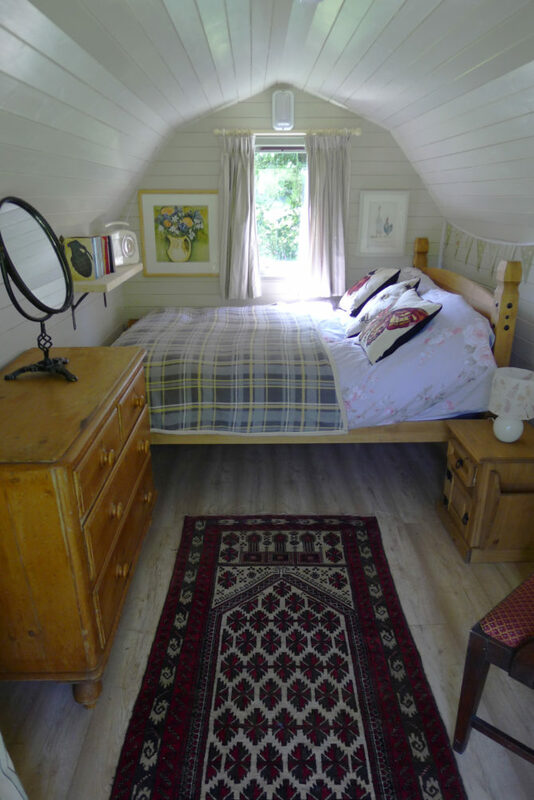 At the foot of the bed is a bookshelf containing a selection of fiction and non-fiction paperbacks, games and playing cards. 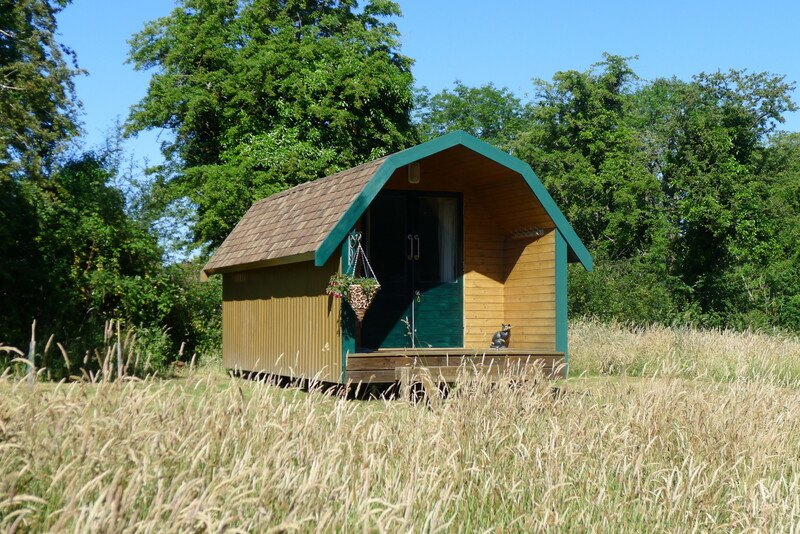 The pod has a main light, a bedside light and a small flat panel wall heater. 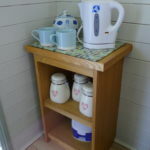 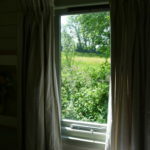 There are two double power sockets for your mobile devices, free Wifi and the site has 3G mobile access. 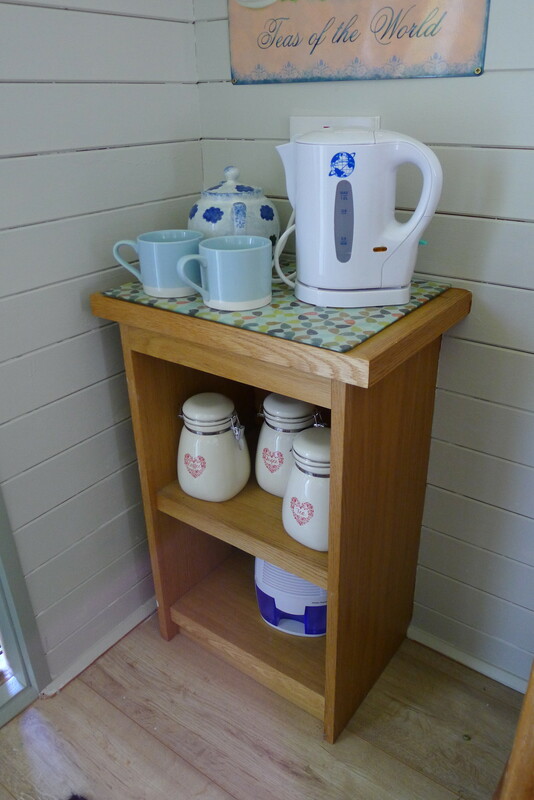 The usual tea and coffee making facilities include a low wattage kettle. 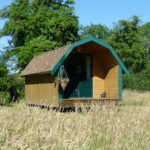 The pod is very well insulated and is true low energy efficient accommodation.